Whether you're looking to stay inland or near the beach, Montenegro offers a great variety of accommodation to suit any style or budget; from small friendly establishments to the biggest resorts in the region. Book a beachfront villa and find yourself surrounded by mountain vistas and overlooking the beautiful beaches and surf of the Montenegro coastline. 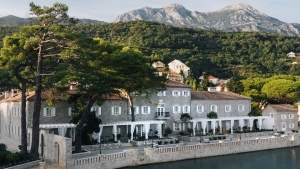 Relax in five star luxury at a pampering spa resort, or immerse yourself in local culture at a boutique hotel set in the ancient Montenegro streets.